Who hasn’t had that feeling that something needs to change ASAP? And by something, we mean nothing less than our daily environment, the space immediately around us—our apartment, condo, or house. The reasons we need a change are legion: we might want to paint the boring white kitchen walls a more interesting color, or get frustrated at all the time we spend burrowing around in the back of the closet looking for something to wear. Or maybe there’s no storage in the bathroom, so what should we do with all of the towels and shower supplies? Now you can get all the help you need from a professional. Interior designer Fay Markopoulou develops customized solutions for her clients that re-define how space is used and take maximum advantage of available options. 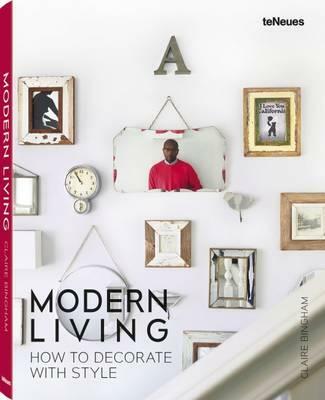 Using easy to understand do-it-yourself projects, Modern Living – How to Decorate with Style shows how investing just a little time and money can make a big splash in your home. Working on your own, you can give your home a facelift that will make it even more comfortable and beautiful. 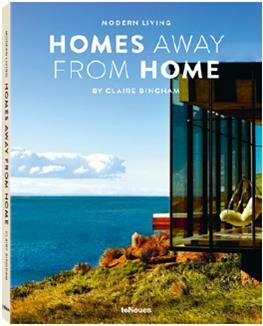 his volume features beautiful holiday homes where we would happily check in for a month Rustic retreats, opulent villas, and cozy beach houses from New Zealand to South Africa to Cornwall to Malibu Includes useful advice to decorate your own travel-inspired home It’s fair to say we all love a holiday. That perfect countryside retreat, captivating beach house, or remote island villa offers an experience that lingers beyond a stolen weekend or those carefree two weeks. But how do you grab some of that global glamour and transport it back home? 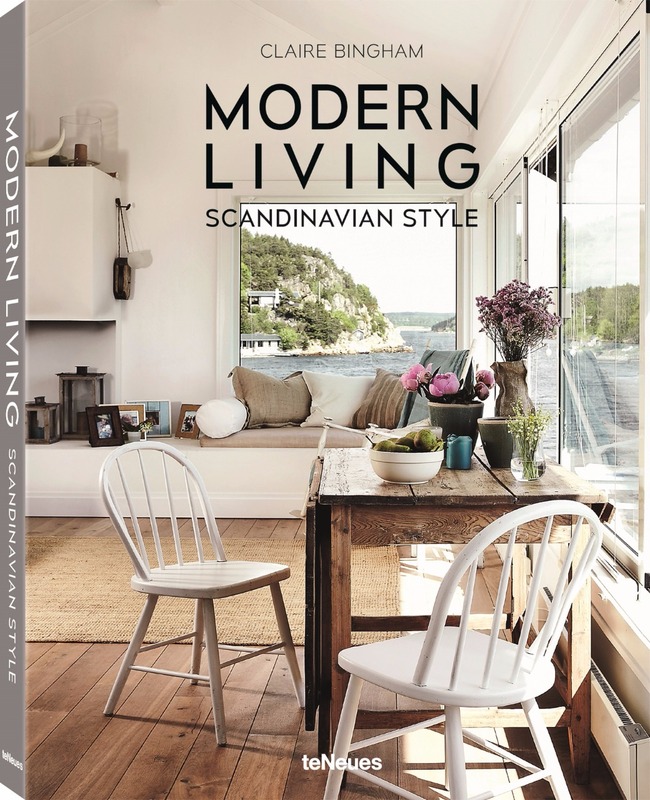 Featuring fabulous homes from Puglia to New Zealand, Modern Living—Homes Away From Home is packed with ideas on how to replicate the look and bring the spirit of escapism to your door. Bringing together two of our favorite pleasures—architecture and travel—design writer Claire Bingham takes a tour of some of the world’s most inspiring escapes. 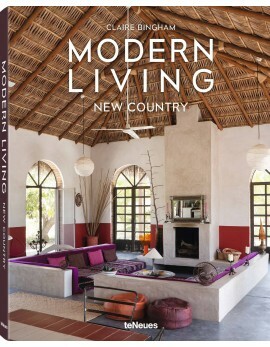 From ultra-contemporary, simple rustic, or opulently-styled spaces, this volume goes off grid in search of the world’s most beautiful rural abodes, decoding the design details that give them their unique sense of style. With hotels increasingly going for a “home-from-home” vibe, they are now a great source of inspiration for home decor. That beautifully-patterned tile flooring in the bathroom or an eclectic mix of furniture in the bedroom? There are many effects that can be replicated at home, too. Homes Away From Home gives the lowdown on the latest trends and how to use them, so next time you’re on holiday and in an interior you love, you can figure out what you’ve fallen for and take the ideas home. 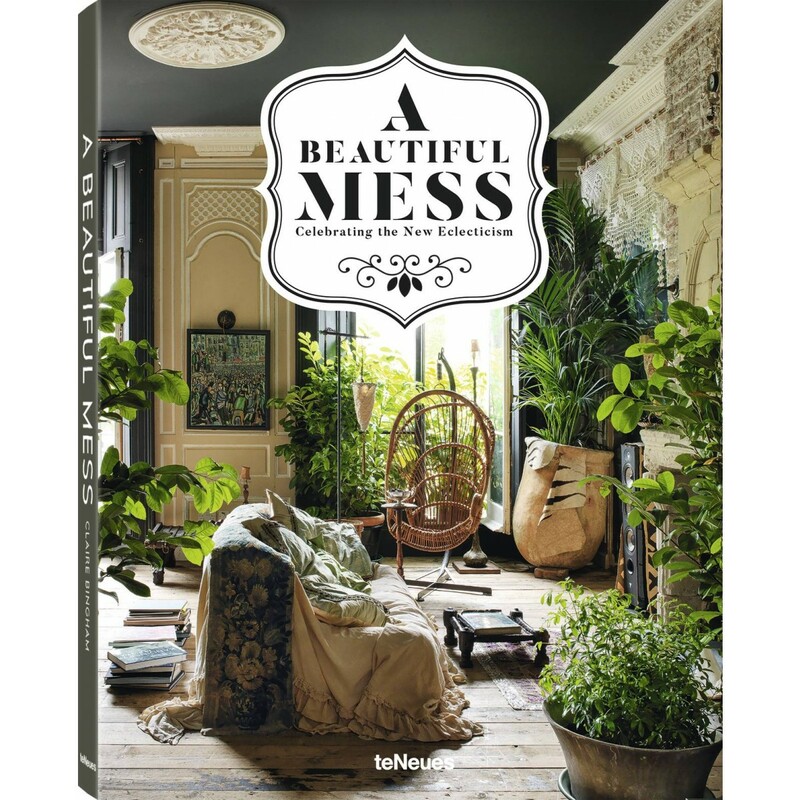 Features an astonishing selection of nature-filled interiors to inspire home decorators of all tastes and lifestyles Learn how to add the florist’s touch to your own home with these insider secrets and step-by-step guides Includes interviews with well-known florists and inspiring personalities who embrace nature in their work and homes Modern Living – Grandiflorais an uplifting, inspiring, and practical guide to using flowers and foliage in the home. From lush greenery to modern florals, we step inside beautiful botanical interiors that lift your spirits with a cool mix of vibrant colors, stylish accessories, and elegant design details. 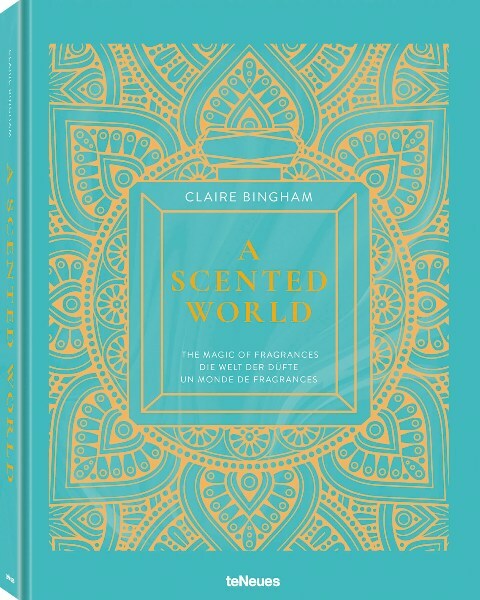 Author and interiors writer Claire Bingham leads by example, sharing her passion for floral- themed houses and people who dream up eye-catching schemes using nature as their cue. Alongside the blossom-filled abodes, the book is crammed full of ideas for easy, seasonal floral arrangements to step-by-step guides to flower pressing the modern way. 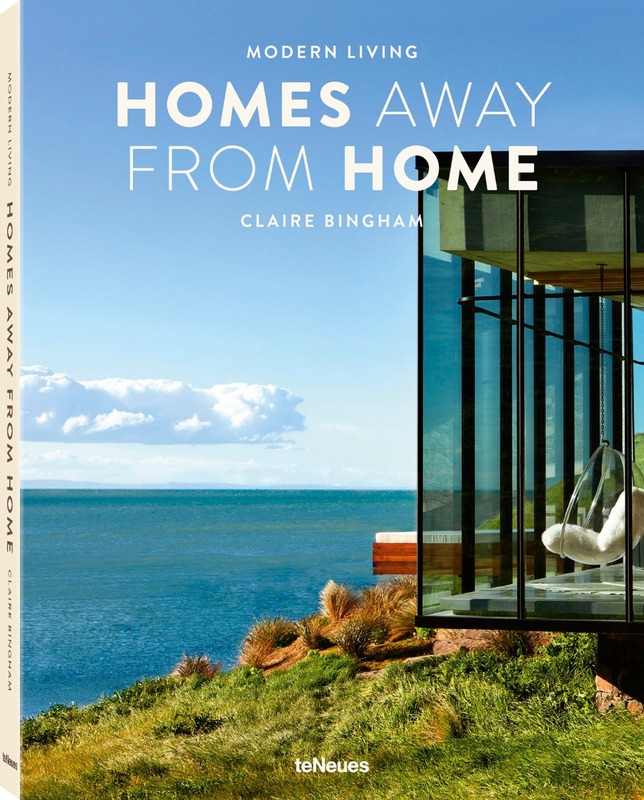 Bingham believes nature should feature highly in the contemporary family home. No space is ever too small for a potted plant or floral-patterned cushion. Anything that brings nature indoors counts for a lot! For one apartment in the Netherlands, dark charcoal walls show off vibrant, floral-inspired prints to dramatic effect. Elsewhere, glamorous botanical prints on wallpapers, fabrics, and accessories abound, yet the interiors remain elegant and balanced. Claire Bingham shares the styling secrets that make it all work. Pretty chinoiserie, vintage chintz, or cool palm prints, there’s a multitude of ways to revitalize your decor. 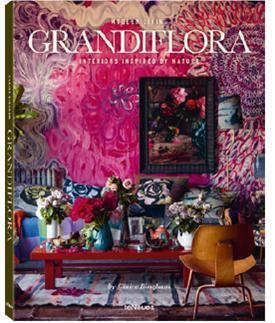 Whatever your decorating delectation, Grandiflora will harness your flower power and teach you how to turn your home into a floral sanctuary. What does a contemporary Art Deco interior look like to you? Is it glittering and cabaret-like, featuring marabou trims, sequin scales, and striking chevron stripes? Or is it elegance personiﬁed in the manner of a Marlene Dietrich trouser suit—soft and well-tailored, but accessorised dramatique? Through jewel-like furnishings that light up the room, ornate mirrors as beautiful as brooches, simple Japanese-style lighting, and bold, curvaceous furniture shapes, join design journalist Claire Bingham as she tours the most sumptuous, modern day Deco interiors—at home, on holiday, in restaurants and bars. Spanning ritzy venues to sublimely-styled houses, Living in Style The New Art Deco is all about 21st century Deco-inspired interiors—vivid, glamorous, polished, and self-assured. 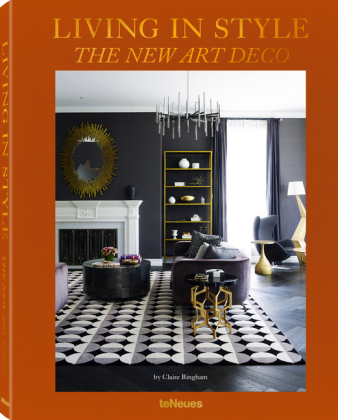 With chapters focusing on all facets of the Art Deco look, including designers, design details, paint palettes, and Art Deco accessories, this gorgeous interiors book opens the door to exclusive, charismatic, contemporary Deco spaces and offers abundant Art Deco design ideas and inspiration for beginners and experts alike. Vintage photographs contextualize the featured interiors, showcasing the icons of Art Deco that have immortalized the era and style. 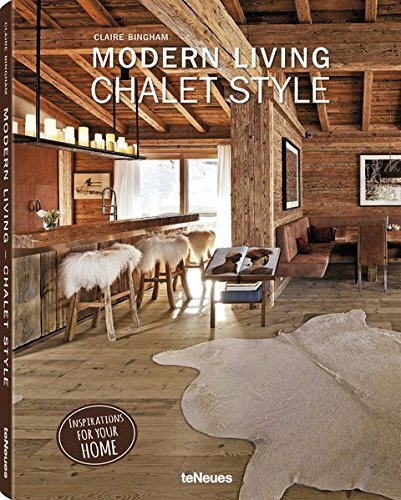 From 1920s and 1930s trendsetters swathed in silks and furs to swanky Dimore Studio-designed salons, this book celebrates the enduring appeal of a halcyon design age as modern and desirable as it is elaborate and luxurious.